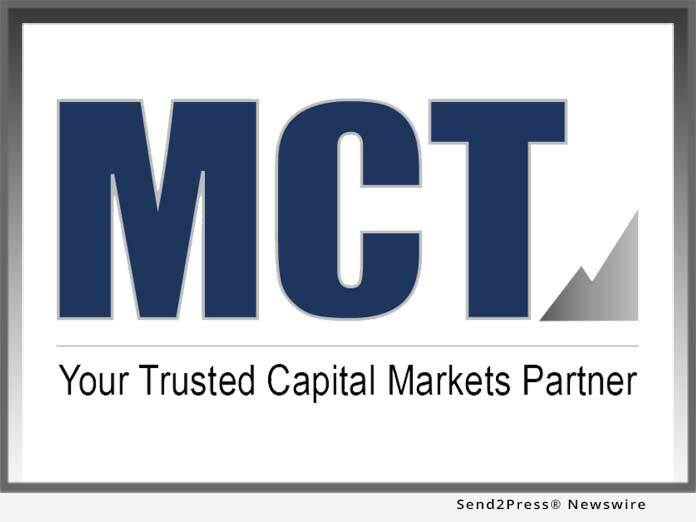 Mortgage Capital Trading, Inc. (MCT), a leading mortgage hedge advisory and secondary marketing software firm, announced the upcoming launch of MSRlive!, a powerful web-based platform designed to effectively support lenders' efforts to build, maintain and optimize their servicing portfolios. Mortgage Capital Trading, Inc. (MCT), a leading mortgage hedge advisory and secondary marketing software firm, announced the upcoming launch of MSRlive!, a powerful web-based platform designed to effectively support lenders' efforts to build, maintain and optimize their servicing portfolios. The solution will be officially released at the IMN's first annual Residential Mortgage Servicing Rights Forum in Los Angeles on November 5. Interested parties can join an upcoming MSRlive! webinar that will be held on November 15 for additional information. MSRlive! delivers highly accurate pricing for servicing portfolio valuations by automatically evaluating scenarios using more than 400 different factors that are fully customizable based on lender preferences. It was designed to be straightforward and easy to learn, simple to run (without the help of IT) and provide robust analysis. Detailed reports are also easily created, establishing the best possible servicing model for lenders' specific business needs. Users are able to effectively forecast and manage their portfolios, predicting the impact of market shifts. "We developed MSRlive! to put our clients in the driver's seat to value their servicing portfolios and run customizable future market scenarios," stated Phil Laren, Director of MSR Services at MCT. "Using a sophisticated model and technology platform, we are able to drastically increase the speed and accuracy of MSR portfolio valuations. MSRlive! is the mortgage industry's most detailed and accurate servicing portfolio valuation solution on the market." MSRlive! is supported by an experienced team of MCT specialists that are dedicated solely to its MSR Services Division. MCT's MSR experts work with clients to define and understand all base assumptions; clients have the ability to easily upload their data and run at their discretion; users are able to create various sets of reports that are easily generated (e.g. cash flow forecasting, accounting, portfolio analysis, etc. ); and the results can then be viewed to make intelligent, actionable decisions that mitigate risk. Servicing portfolios are analyzed and valued at over 30 loans per second in great detail - and with unmatched accuracy. MCT's MSR Services Division also offers additional services that include portfolio valuation reports, enhanced retain-release extension, MSR strategy consulting, custom MSR Grids, and MSR hedging and brokerage services. MCT will also be available to answer questions regarding MSRlive! at the IMN's Residential Mortgage Servicing Rights Forum in Los Angeles on November 5 - 6. In addition, MCT's Phil Laren will be speaking on a panel on Monday, November 5 at 4:40 p.m. entitled "The Pre-Hedging Decisions For Origination Hedgers." For more information, visit https://mct-trading.com or call (619) 543-5111.